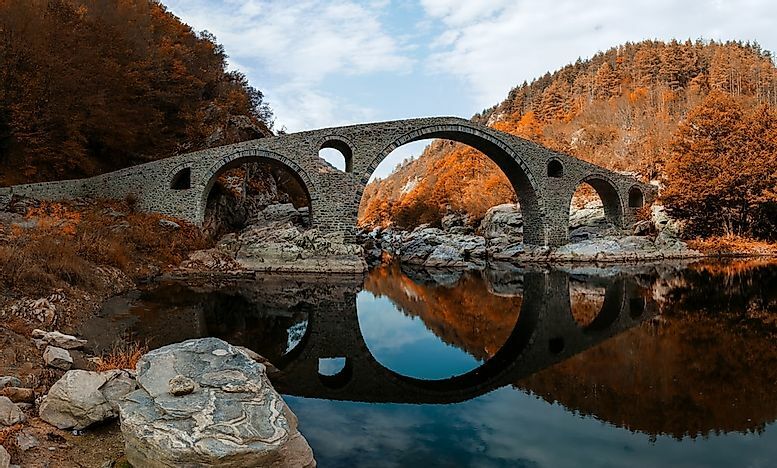 The Pont du Diable (Céret) and Alcántara Bridge are among a variety of stunning arch bridges around the world. 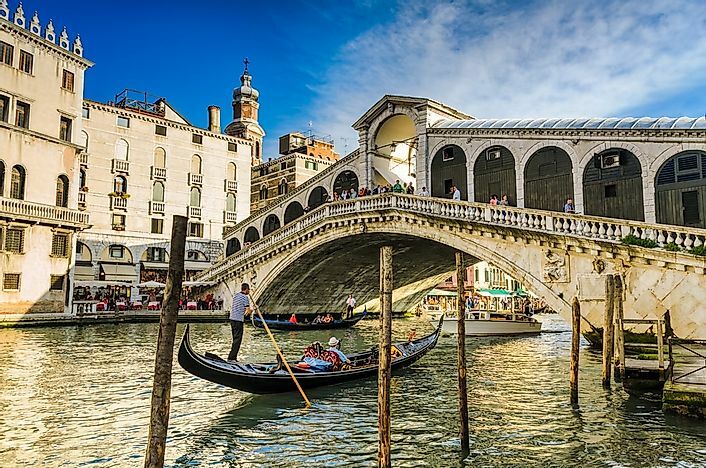 The Rialto Bridge in Venice, Italy. An arch bridge is a structure supported by abutments at each end to accommodate lateral pressure. The body of the bridge is arc-shaped and is usually constructed across a water body. The arch is constructed through a process of centering on falsework frame. After the first arch barrel is installed, the arches are stabilized by horizontally running bonds which form spandrels. Where a bridge is to be constructed over a watercourse, the water is first diverted to allow a robust footing where foundation piers are erected to the desired height. 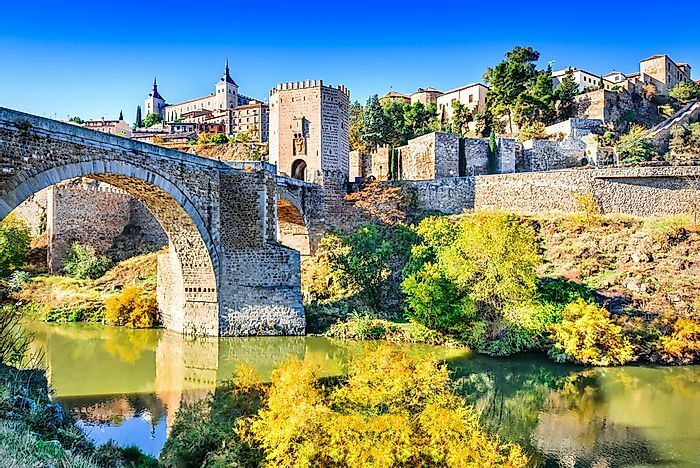 Here are some of the stunning arch bridges from around the world. The Pont du Diable (Céret) also referred to as the Devil’s bridge was constructed between the year 1321 and 1341 in France. The bridge spans 149.1 feet on a single arch. At the apex, Pont du Diable (Céret) bridge is 73 feet high. The structure is basically made of medieval stone across River Tech, making it possible to cross the river from one side to the other. The Alcántara Bridge crosses the Tagus River in Extremadura, Spain. Its construction began in 104 AD and was completed in 106 AD. Also known as Trajan’s Bridge at Alcántara, the bridge has dimensions as follows; width 8.6 meters, height 45 meters, longest span 28.8 meters while the number of spans are 6. The load limit is 52 tons. 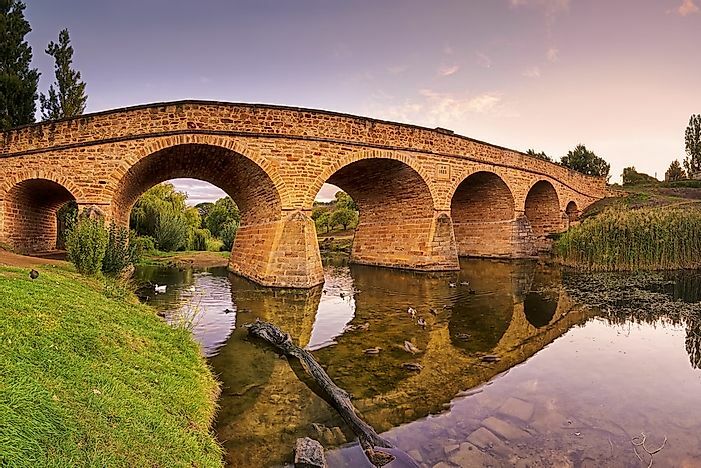 The Roman stone arch bridge was initially 190 meters long but length was reduced to 181.7 meters. 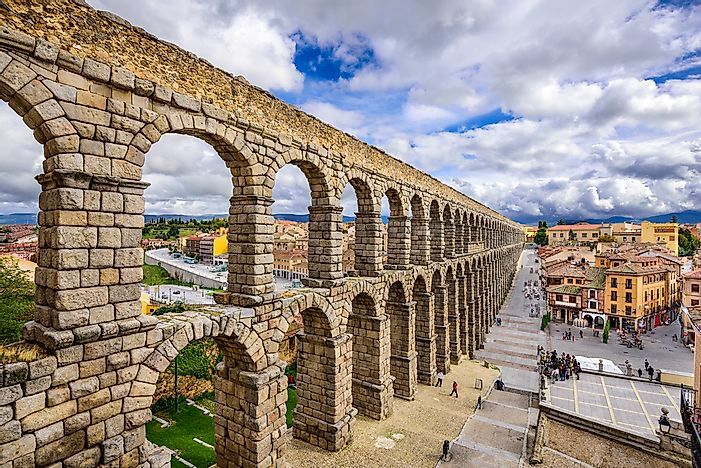 The Aqueduct of Segovia Bridge is a unique aqueduct in Segovia, Spain and is among world’s most preserved Roman aqueducts. Its tallest point is 93 feet 6 inches including a foundation of 19 feet 8 inches. The bridge is made of single and double arches which are reinforced by strong pillars. It then extends to the city and reaches Plaza de Diaz Sanz. There are a total of 167 arches of which 75 are single arches and 44 are double or 88 arches if considered as individual arches, followed by 4 single arches. 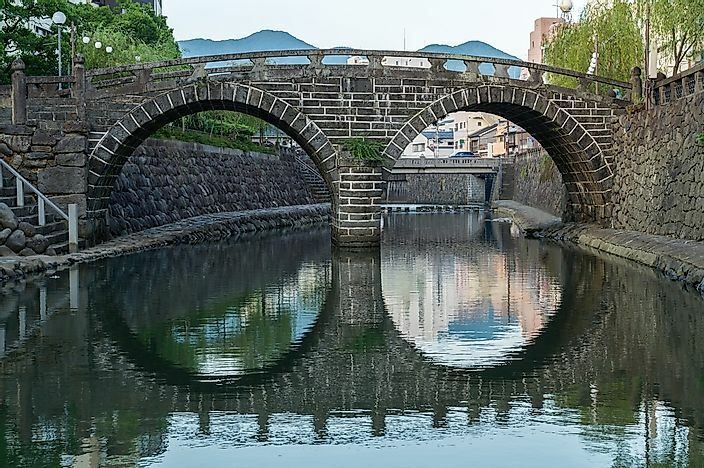 The Spectacles Bridge was built in 1634 in Nagasaki by the Chinese monk named Mokusunyoujo. The bridge crosses Nakashima River and is ranked the oldest arch bridge in Japan hence held as an important cultural monument. The stone double arch bridge has two arches that reflect in the water creating the image of a pair of spectacles. Only pedestrians cross it. The bridge has stood firm despite natural and man-made calamities. The Ponte Santa Trinita is located in Florence, Italy. It is rated as the oldest elliptic bridge in the world and is characterized by 3 flattened ellipses. The bridge measures 95 feet on the outside while the center span is 105 feet. 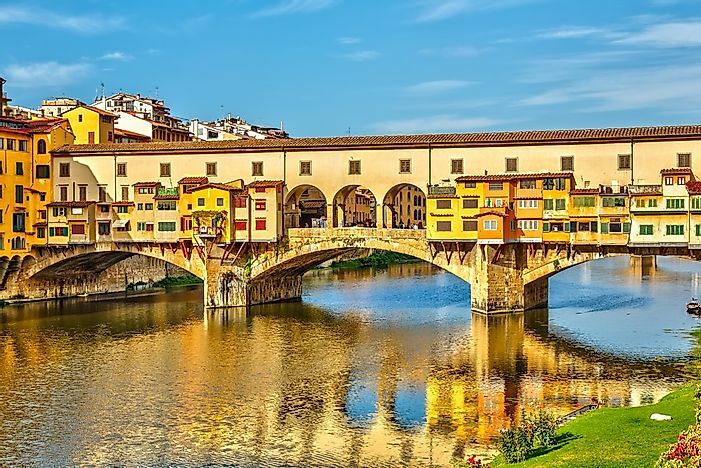 Constructed by Architect Bartolomeo Ammannati from 1567 to 1569, the bridge has remained as originally built except for 4 ornamental statues added in 1608 to celebrate a wedding. 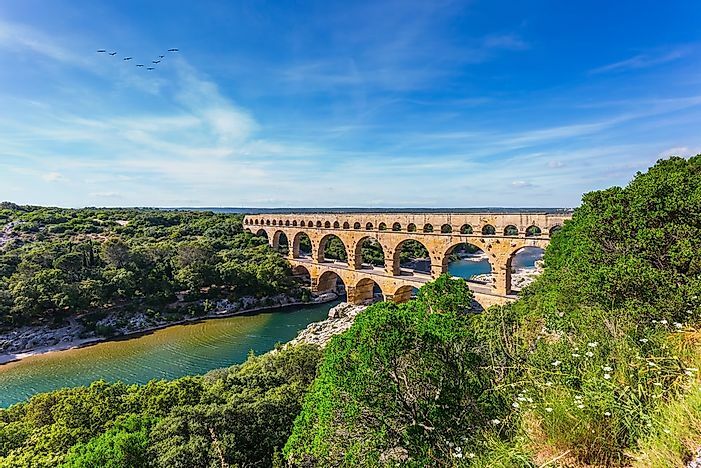 This arch bridge is located in Vers-Point-du-Gard, Southern France across the Gardon River. 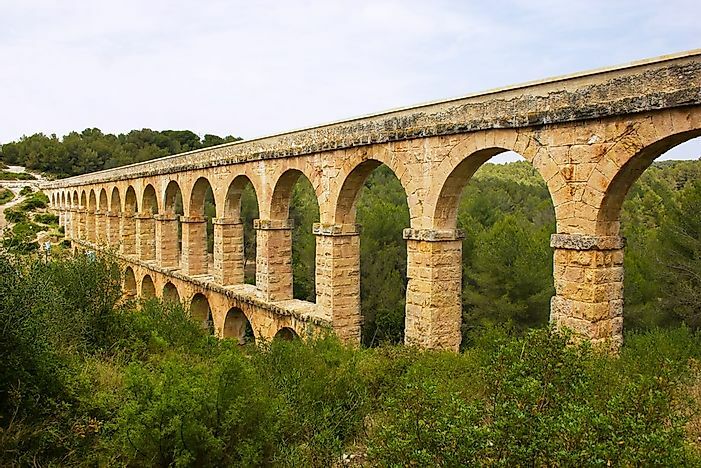 Ranked the highest elevation of all Roman aqueducts, the bridge was made from Shelly limestone. It was constructed between 40 and 60 AD. The bridge measures 902 feet long on the upper side, 704 feet in the middle, and 466 feet on the lower side. The width is 21 feet while the height is 160 feet and 6 feet at the aqueduct. The bridge has 25 upper spans, 11 midspans, and 6 lower spans. 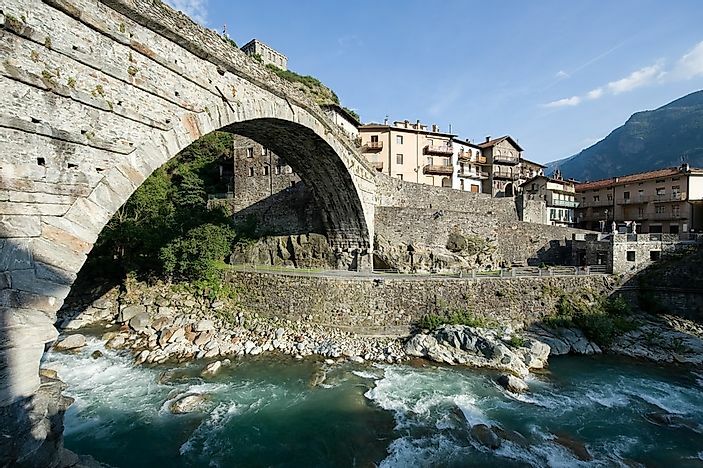 The Pont-Saint-Martin arch bridge is a segmental arch bridge found in the Aosta valley in Italy. It was built in the 1st century BC and has a span that measures 103 feet. The arch bridge is designed from stones. The Roman segmental arch bridge is 5.8 meters wide while the mono span bridge measures 31.4 meters but often stated as either 35.64 meters or 36.65 meters. The construction work on the bridge ended during the reign of Augustus who ruled between 27 BC and 14 AD. Richmond arch Bridge was constructed across the Coal River on the B31 in Richmond, Australia about twenty-five kilometers North of Hobart. The bridge measures a total length of 41 meters and a width of 7.2 meters. Its construction began in 1823 and the bridge was opened to the public in 1825 making it the oldest stone span bridge in Australia. 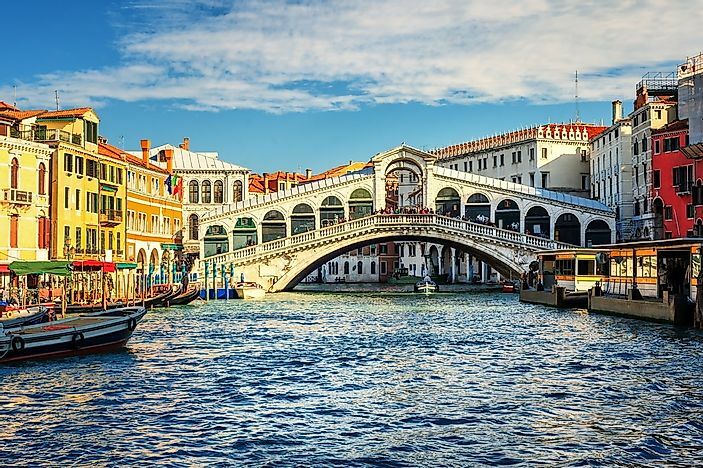 As one of the 4 oldest bridges along the Grand Canal in Venice, Italy, Rialto Bridge connects the district of San Polo to San Marco. The pedestrian-only bridge was built of stone between 1588 and 1591. It measures 29.2 feet wide and 24 feet high with the longest span being 104.4 feet. 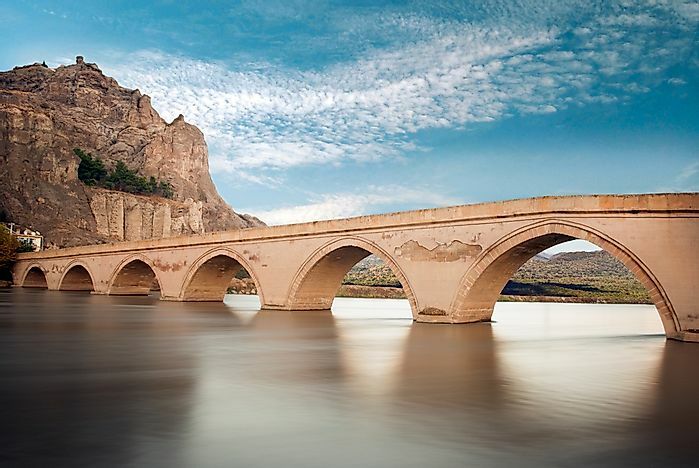 Koyunbaba Bridge is a stone arch bridge that crosses the Kizilirmak River in Corum province, Turkey. Its construction began in 1484 and was completed in 1489. Built by the Ottoman Empire, the bridge has a total length of 820 feet and width of 24.6 feet. There are 19 spans though only 15 are visible. 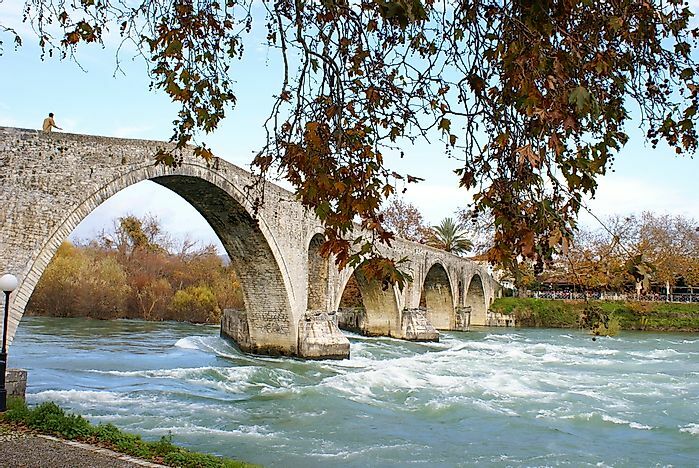 The Bridge of Arta is a stone bridge that was constructed in 1612 across Arachthos River in the city of Arta in Greece. There have been numerous adjustments to the initial design but the bridge is currently 130 feet wide and 65.7 feet high. The pedestrian-only footbridge was made of stone and has 4 spans and 5 piers in water. Several folklores have been associated with the Bridge of Arta with some suggesting that the builders would work on the bridge all day only for it to collapse each night. 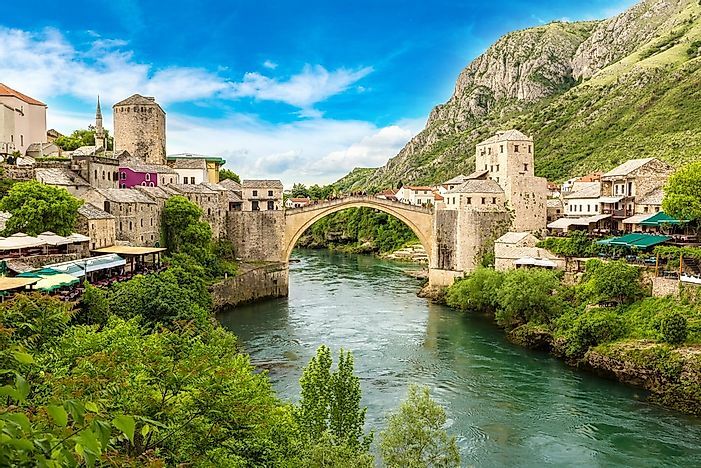 Stari Most was rebuilt in the 16th century by Ottoman across Neretva River in Mostar, Bosnia, and Herzegovina and interconnect two cities. The pedestrian-only bridge has a total length of 29 meters and a width of 4 meters. The clearance below measures 20 meters at mid-span. The arch bridge was made from local stones called Tenelija. Abutments of limestone were used in lieu of foundations. It is a popular landmark and one of the examples of the Balkan architectural works. 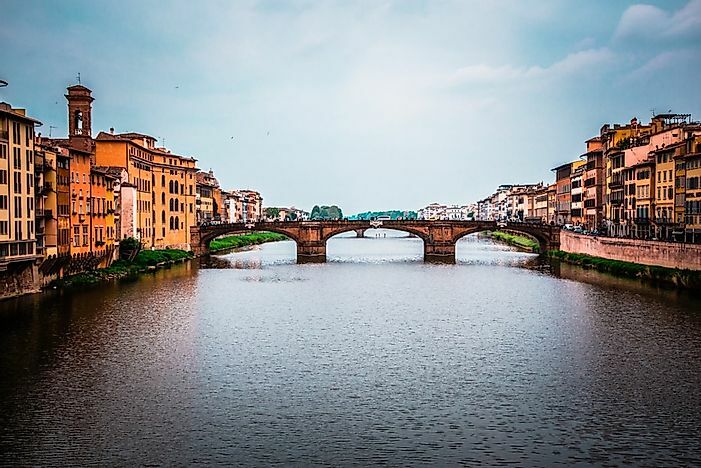 Ponte Vecchio Bridge is a stone arc bridge constructed across River Arno in Florence, Italy. The stunning bridge has shops constructed along it and measures 105 feet wide and 98 feet long. its design is a closed-spandrel segmental bridge of stones. The shops were once occupied by butchers but are presently occupied by art dealers and jewelers. 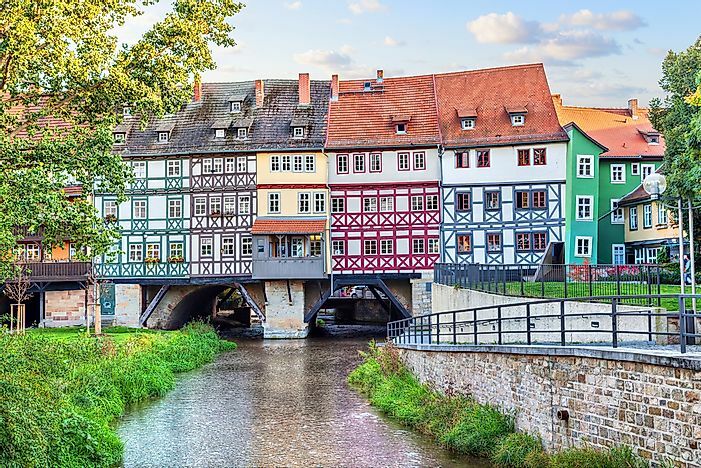 The Krämerbrücke Bridge is a medieval structure across Breitstrom water body, in the city of Erfurt in Germany. The bridge has been in existence for over 500 years. The unique features of bridge are the half-timber buildings along the 79-meter length. The buildings along the bridge house wine shops, art galleries, and food outlets. The pedestrians-only footbridge spans across the Breitstrom, a tributary of Gera River thereby connecting Benediktsplatz to Wenigemarkt.